It is a time of hope for the peoples of the thirteen American states only recently united under the Articles of Confederation. Now known as the United States of America, the new country is ready to take its place among the nations of the world but first, it must face one final challenge: the body of an important Loyalist has been discovered within the halls of Congress itself and unless the killer can be found and the mystery solved, an angered Britain could use the affair to abrogate the recently approved Treaty of Paris and plunge the young nation back into a war it no longer has the strength to fight. But in an age when forensic science was unknown, who possessed the skills needed to follow the faint trail of clues to the murderer before the ship bearing the peace treaty arrives on American shores? 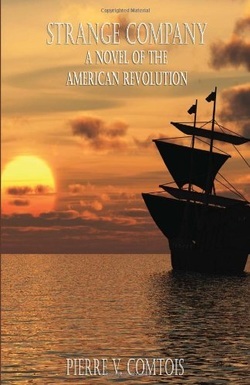 Follow Thomas Jefferson; inventor, writer, agrarian, scientist, and some time politician as he matches wits with such fellow patriots as Alexander Hamilton and Samuel Adams while risking his life and reputation to unravel a sinister plot that could leave the United States stillborn in the cradle of liberty!